He seldom visits the homestead in rural Maryland anymore, not since his younger brother was killed in the Civil War, followed by his father’s passing two years later. 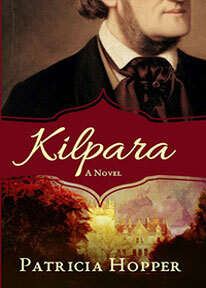 He returns home to find his mother seriously ill. Another surprise awaits him when she expresses her desire to return to her Irish homeland to die and later be buried among ancestors at Kilpara, the estate once owned by the O’Donovans for over three hundred years. After many arguments, Ellis bends to his mother’s will. They arrive in Ireland to find it still ruled by British aristocrats, a fact that hasn’t changed since Ellis’ parents emigrated a generation ago. Lord Purcenell, an obstinate Englishman now owns Kilpara, and has no intention of granting O’Donovans a resting place in their ancestral cemetery. Ellis, determined to carry out his mother’s request, is thrust into the maelstrom between the strife-ridden Irish who want to see an O’Donovan reinstated at Kilpara, the English lord whose word is law, and a growing attraction to Morrigan Purcenell, daughter of the man who refuses Ellis' mother her dying wish. 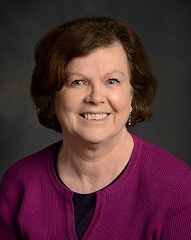 Patricia Hopper Patteson, a native of Dublin, Ireland, lives in West Virginia. She earned a B.A. and M.A. from West Virginia University (WVU). She received honors from WVU such as the Waitman Barbe Creative Writing Award and the Virginia Butts Sturm Award. She has received numerous awards from the annual West Virginia Writers’ competition. Her fiction and non-fiction have been published in magazines, reviews, and anthologies. In Bookstores: Barnes & Noble (also available on Nook), Books A Million, Bradley's Books and Through ordering at any bookstore.